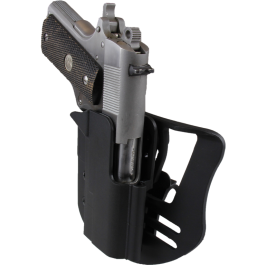 Our Revolution Holsters are the perfect way to securely carry your favorite firearm on a daily basis. 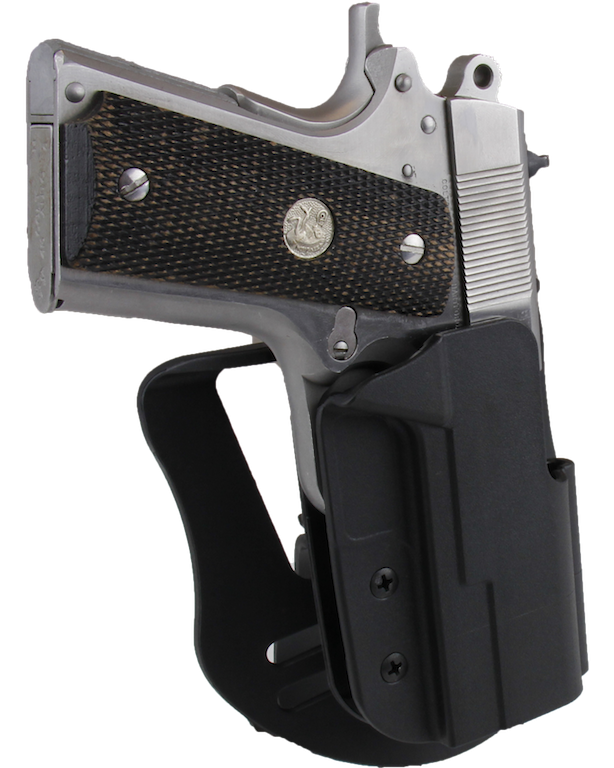 Whether you are at the range, in the field or taking a leisure stroll in the neighborhood you can CARRY CONFIDENT knowing you have the one of finest field proven carry systems in existence. 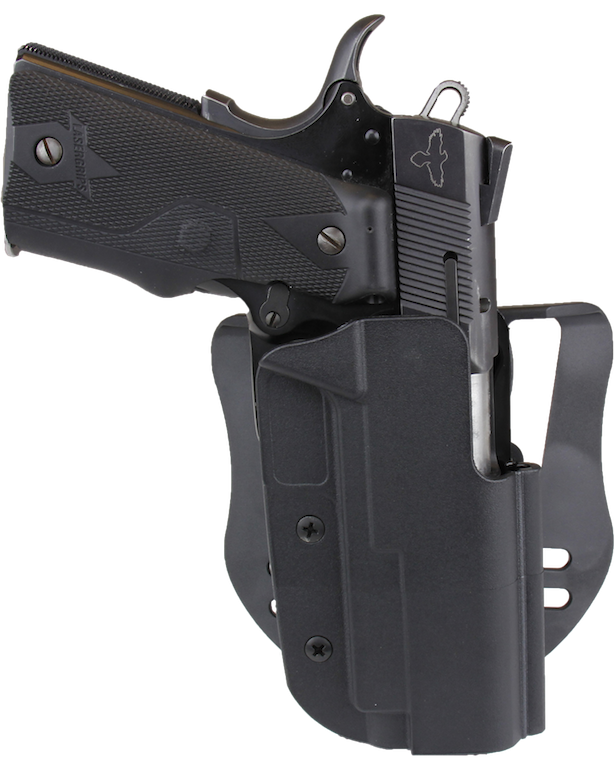 The Revolution Series Holsters are modular and were engineered to offer a lifetime of performance. They are Injection molded out of our own proprietary super tough polymers making them highly impact resistant and stable in extreme temperatures (from over 300 degrees Fahrenheit to 30 below zero) while still retaining the same look, fit, feel and performance of our popular custom made carry gear. 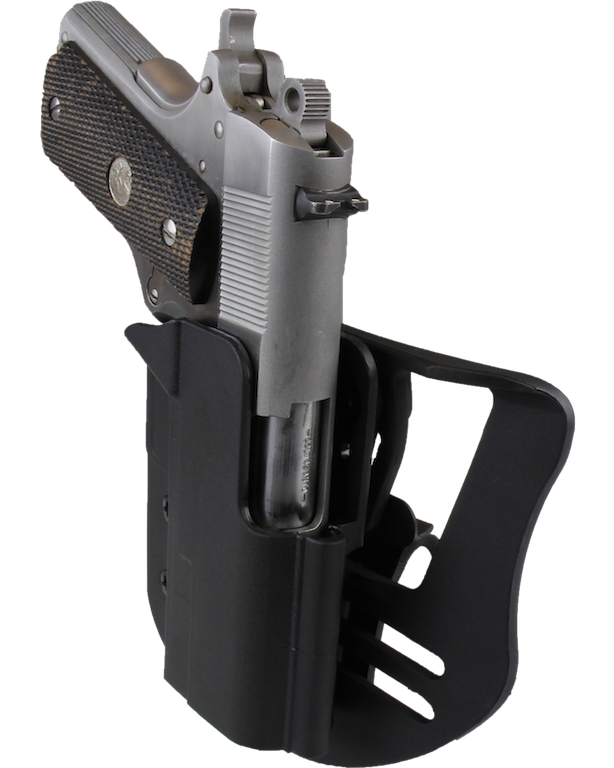 Each Revolution Holster is IDPA approved and comes pre-assembled with the “3 position Paddle” set in the Straight Drop configuration. It also includes a “3 Position” ASR™ belt attachment so the user can convert the mode of carry from paddle to belt if so desired. 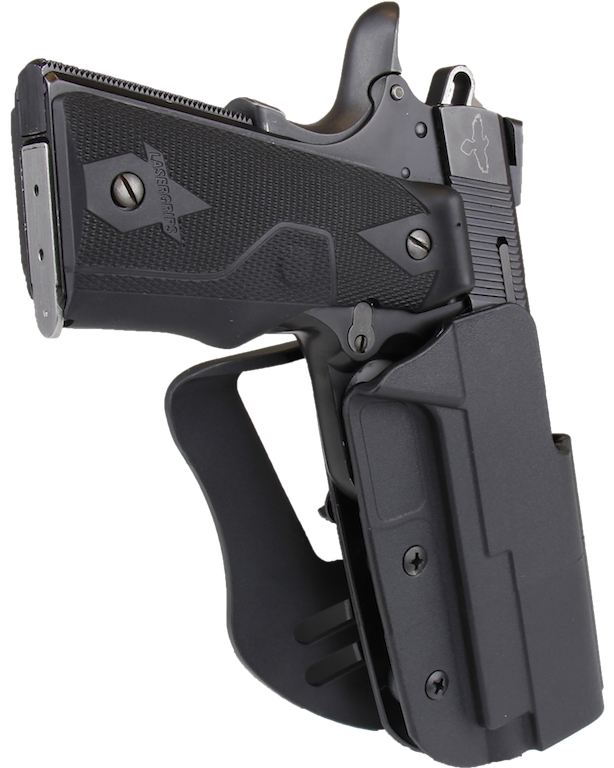 Both the Paddle and ASR™ belt loop are adjustable and can be positioned for either Straight Drop, FBI Cant or Muzzle-Forward carry, they can also be adjusted to fit belts from 1.25” to 2.25”. They offer Level 1 retention but are fully adjustable so the user can set tension level to suit his preferences. Whether you are a seasoned pro or novice shooter, our field proven Revolution gear will not let you down no matter how harsh the environment.